These days, when people say "gaming", you think of Xbox 360 and PlayStation 3. Even the Wii. How could you not, with games like Black Ops, Gran Turismo 5 and Wii Sports in every retail store known to man? But if you're the type of gamer who sits in front of the computer screen playing MMORPG, MMORTS and sandbox games, then gaming has an entirely different meaning. 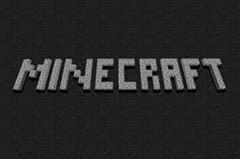 If you don't know what those mean, then you've probably never heard of games like World of WarCraft, StarCraft II and more importantly— Minecraft. Minecraft is a sandbox game (some call it "free roaming") where players build there own world, erecting constructions from textured cubes. It's a game where you strategically place building blocks, much like LEGOs, to create anything you can imagine. And that's not all. There's also enemies— monsters— that come out at night! This is not your standard video game. Minecraft is the video game you've always wanted to make. And it just hit Beta mode today! As of Monday, December 20th, Minecraft Beta is available to everyone online at the price of €14.95 ($19.62). And as of 1:45PM, the game has accumulated 2,590,464 registered users, of which 847,320 (32.7%) have bought the game. In the last 24 hours, 30,777 people registered, and 20,067 people bought the game. Those are some pretty impressive numbers— numbers Call of Duty addicts can't ignore. To get it yourself, just go to the Minecraft.net. You can even buy the game as a gift for Christmas! And you can now throw EGGS! 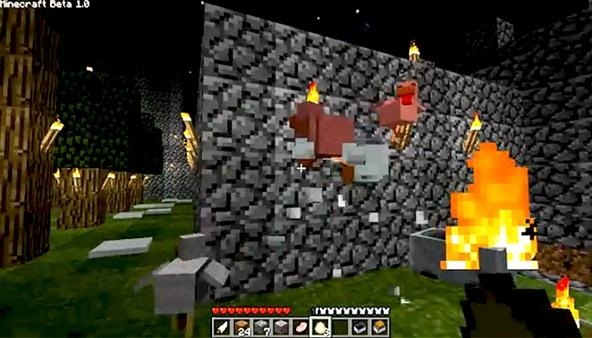 Perhaps the best part of these new features is the egg-throwing, but even better is what happens when you throw multiple eggs— spawning CHICKENS! If you want to learn how to spawn chickens with your egg-throwing skills, watch the video walkthrough below to see how it's done! Also, check out some of these other videos for details and gameplay for the new Minecraft Beta. Minecraft BETA - Whats New!